Havana Swing are a long-established gypsy swing band based in Scotland. 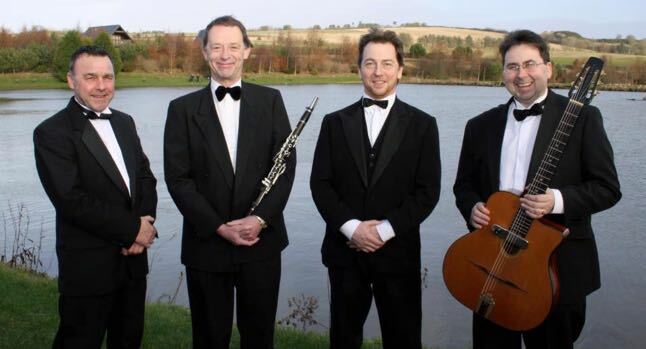 They lovingly recreate the Hot Club of Paris sound, redolent of the French capital in the 1920s-1940s. It's a classic sound that adds an upbeat ambience to any event. 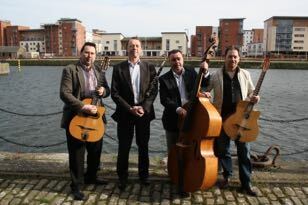 Scottish band Havana Swing have been delighting audiences for years with their fiery brand of Gypsy Jazz. 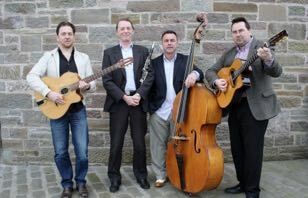 Formed In 1986, the band comprises of 2 guitarists, clarinet and double bass and will take you on a musical journey of The Hot Club De France through Parisian cafes and Gypsy campfires. Lightning solos coupled with subtle harmonies will leave you in no doubt that this is the real thing. You will quickly notice from the band interaction that they obviously enjoy playing in the style of Django Reinhardt. The band have appeared at the legendary Glastonbury Festival and were recently nominated for The Scottish Jazz awards.